Want to carry an entire Target store around in your pocket? There's an app for that! Want to carry an entire Target store around in your pocket? There’s an app for that! I’m an avid online store stalker, so it feels like the Target app was made just for me (even though everyone can download it for free!). If you’re an iPhone user, you can download it now, Android folk your version will be available in early December. Once you’ve downloaded the app, you’ll be able to browse the latest catalogue, and make a wishlist so you’re armed and ready once you head in-store. The app will also update with new offers regularly. You can buy things directly from the app, and then grab them already picked and packed for you in-store (this is free if your order is over $19), or you can get your goodies home delivered free if they total over $75. 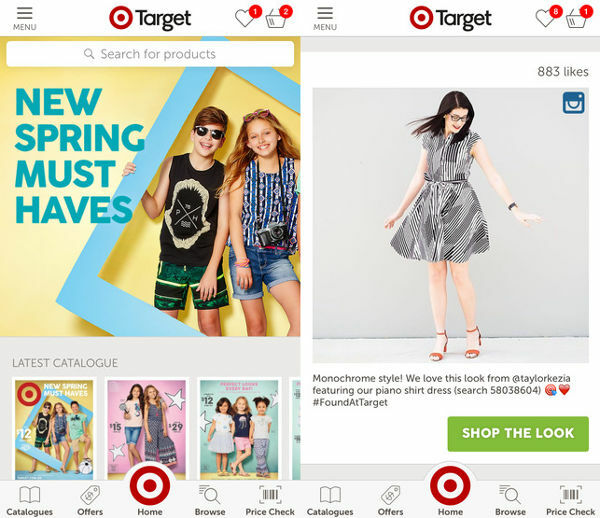 But if you still prefer heading into the bricks-and-mortar shop, make sure you do it with your phone loaded up with the Target app. Then you can use it as a product scanner – which will tell you the price, any offers and also what other people think of that product. Cool, huh? Head to iTunes to download the app for free.